Truly one of the most interesting walking tours for New Yorkers and all visitors is this important—and fascinating—waterfront highlight. 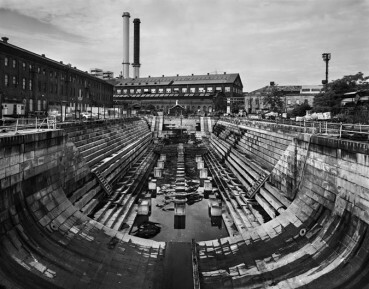 With history starting during the American Revolutionary War and continuing as a working yard through the young nation’s war and commerce years to 1966, the Brooklyn Navy Yard is now a focal site for 21st century data, manufacturing and advertising businesses. But it is the rich, colorful history that draws thousands of interested visitors each year. The Navy Yard is located in the East River and Wallabout Basin, with views onto New York Harbor and the iconic Williamsburg and Manhattan bridges. Your camera will be the perfect instrument to preserve amazing memories. BLDG 92 is the visitor’s starting point, featuring the history and innovation of The Brooklyn Navy Yard and where the guided tours start. Also, you can continue your explorations in the DUMBO/Vinegar Hill, Fort Greene and Williamsburg sections of Brooklyn that surround the Navy Yard. Bike lanes and racks abound, including using the NYC bike share program located both inside and surrounding the Navy Yard.